We Remove, Replace, And Install! It's important to know that the insulation in your attic is at its very best, otherwise you could be losing money! If it's not functioning as well as it should due to damages or age, then your home will be unable to keep a stable temperature. This will require your heating and air conditioning to run longer, and waste energy, which may be why you've noticed your bill rising. Let us take care of it! We can add more insulation to what you have, remove what's there and replace it all with fresh new material, or install it into that brand-new home. 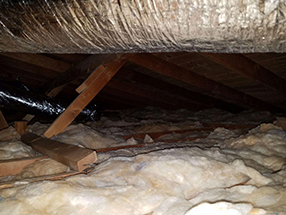 Our professionals can help you determine what type is best suited for your attic, along with ensure that it will be the proper amount to keep it sealed up. Attics are known to be havens for dust, but did you know that this can cause health troubles for you and your family? It can pollute the air in your home, and aggravate breathing disorders or allergies. Along with that, mold can also begin to grow and spread, which can damage both your house and also cause health hazards. Don't wait for any of this to happen! Instead, let us clear everything out, and get your attic pristine again. Rodents are another source of dirtying your attic, as their waste carries harmful bacteria. This can be spread through your house from shoes, or brought in from contaminated belongings that were stored in the attic and carried down. Getting your home safely decontaminated by our technicians will get rid of any diseases, so you won't need to worry. Rodent proofing is also available, so it won't happen again! You want your business to be place that generates great work output from your employees, and ensuring that your building has proper insulation is a great way to do so. It will eliminate any distracting cold spots, and allow your employees to work in peace. 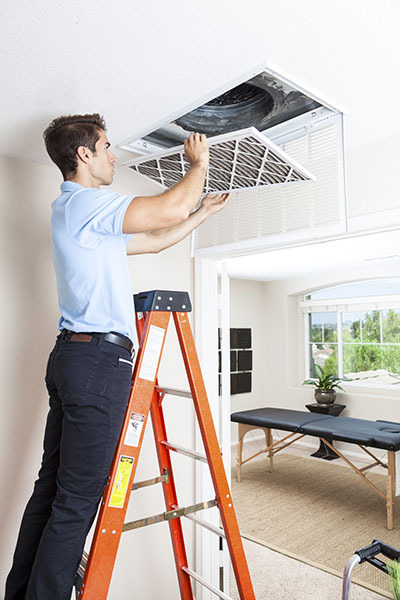 Contact Air Duct Cleaning Palos Verdes Estates today, and we'll get to work!